Last weekend provided two players making their own debuts in the same 1st Grade match, but their fortunes couldn't have been any further apart, even if they had been stalking the poles at opposite ends of the world. Brodie Billett has played 1st Grade cricket before, for his previous club of Oak Flats. The match against Lake Illawarra was, however, his first match for Kiama, and therefore his 1st Grade debut for Kiama. In his role as new 1st Grade keeper, he had done his work behind the stumps last weekend as Lake Illawarra batted through out the day. This week was his turn to do the job with the bat. Walking out at 6/102 is not an easy proposition. 47 runs are still required to avert the follow on. Last season in 3rd Grade, Brodie scored over 700 runs. As anyone who has played 3rd Grade in recent seasons can attest, it is not a strong competition at the moment. Those runs were well made, but 3rd Grade is not 1st Grade, and facing Mark Ulcigrai is not like facing medium paced 3rd Grade attacks. Facing his first ball for Kiama, Brodie found it crashing into his pads, and the dreaded finger was raised. 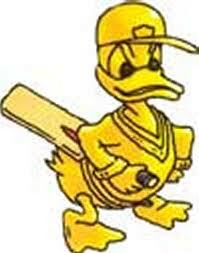 A golden duck on debut. Not one for the scrapbook. Later in the day, Kiama are getting a second chance at the crease thanks to Lake Illawarra's generosity at enforcing the follow-on. This time, due to Ryan Gunning's injured toe, Brodie steps out at 5/70, and with some work to do to tie up the day. He walks to the crease, and looks up to find Mark Ulcigrai at the top of his run. No doubt thoughts of his dismissal from a couple of hours previous start flashing in his head. 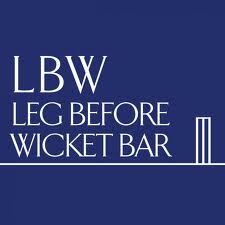 You tell yourself to play this ball differently, to avoid the mistakes you have made in that first innings. Then, before you know it, "Ulci" is at the umpire, and the ball is upon you. The ball again crashes into your pad, and no doubt Brodie is fearing the worst as the Lake team goes up in unison. Looking up at the umpire, seeing the finger rise into the air, did he instantly realise that not only has he picked up his second golden duck of the day, that it now transforms into a King Pair? Is there a worse feeling in cricket? Who can say. One thing is for certain - Brodie won't forget his debut for Kiama for a long time, nor will he be allowed to forget it by his teammates. A king pair on debut, both dismissals LBW. That's got to be difficult to take. Or would you consider it to be a worse situation for Josh Elliott? In both innings in that 1st Grade match, Josh walked to the wicket following Brodie's dismissal, and both times had to face a hat-trick delivery. Certainly he would have copped some ribbing in the first innings, but you can only imagine the jovality that was happening on the field as Josh walked out to "Groundhog Day" in the second innings. 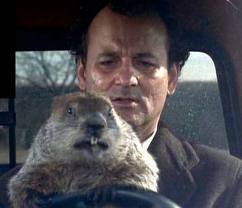 "Don't drive angry Josh! Side of your eye... side of your eye..."
One person who knows all about being dismissed leg before wicket is Greg Norris. In the 2010-11 season, Greg was dismissed LBW nine times, a Club and possibly word record. Having received some gentle serves about this during the off season, no doubt Greg was looking forward to keeping away from any such jokes in the new season. This was unfortunately put to rest in the first innings of the 2nd Grade game against Lake Illawarra, when he was dismissed... yes... LBW... for 9 runs. 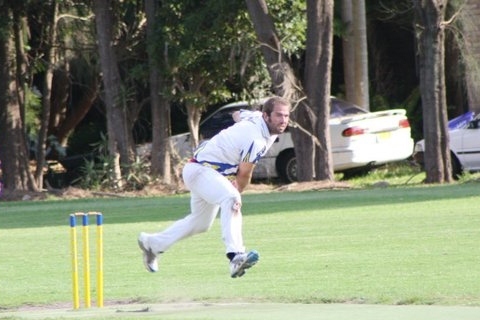 Last weekend, after a great bowling effort, Kiama required only 15 runs to win their match outright. Opening the batting, with little to gain and plenty to lose, Greg was the subject of two huge appeals early on, both of which were denied by the umpire. However, when yet another ball stayed a little low and again found its target (Greg's front pad) it was more than the umpire could withstand, and he indicated to all yet another LBW against the G-Man. Is the record in danger? After one round, two batsmen have two LBW dismissals - although if a countback is held, then surely Brodie will win for his two first ballers. The competition this season looks as though it will be fierce. Perhaps a new trophy will need to be struck on Presentation Night to record this great competition. One of the better stories of the week involves Anthony Mortimer. Having last weekend - and let's not mince words here - carried on like a goose in a trial match at Northern Districts, Morty received a dressing down over his actions during the week. While it was acknowledged that he had the skills to be a very good cricketer, his attitude in certain situations was becoming his downfall. Morty accepted the consequences for his actions, apologised and promised to do better. On Thursday, with other players proving unavailable, Morty was chosen to replace Ryan Price for the second week of the 1st Grade match, in essence being picked for his 1st Grade debut. He repaid the faith of the selectors and the board by putting in a very credible effort. He took a catch in the field, and then backed that up by scoring 29 in the first innings (3rd top score) and then another 20 in the second innings (2nd top score). What was even more impressive is that everyone spoke positively of his attitude and determination during the day. Through this unusual set of circumstances, perhaps Kiama has not only found a good 1st Grade cricketer, but a good cricketer has found out just how to make himself into an asset for his Club, both on and off the field. For everyone involved, let's hope this is the case.